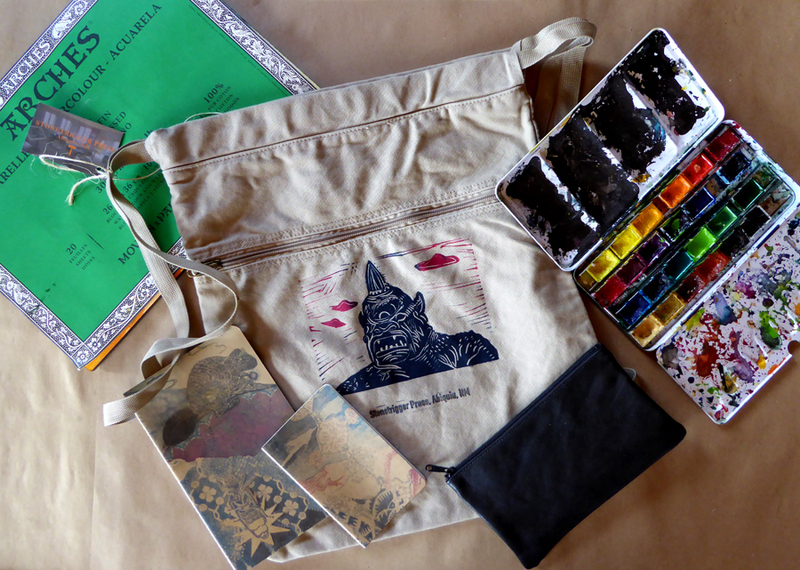 My travel kit of hand printed journals, a watercolor pad, watercolor, brushes, and UFO Cyclops bag is all packed up. I am going to Albuquerque for a couple of days then on to Roswell for some fierce sporting competitions, a tour of the UFO Museum, and a lot of sweating. It is going to be in the high 90’s all week. 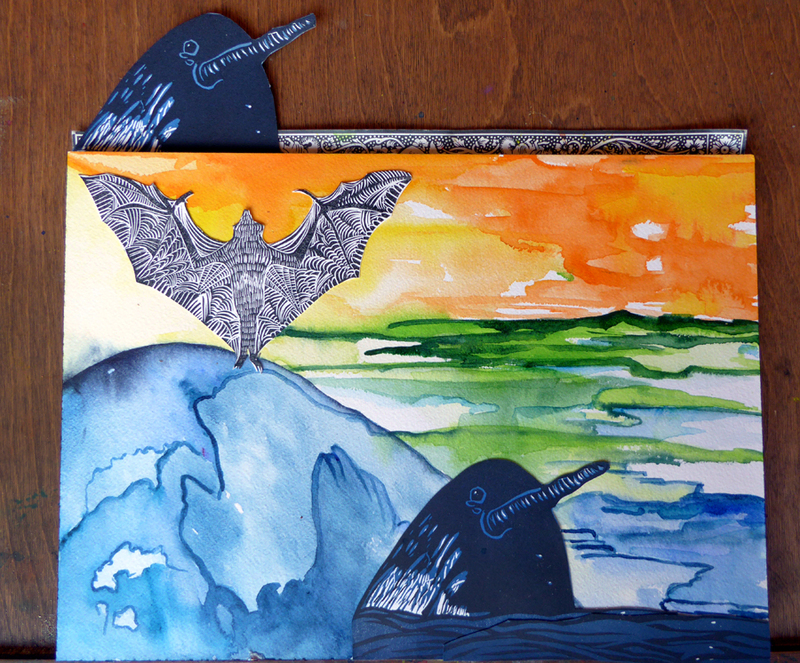 I am currently working on a narwhal, bat collage. weird landscape watercolor. I plan to take that with me and finish it up in Roswell in between running events. More about those running events Thursday on my adventureartist blog.